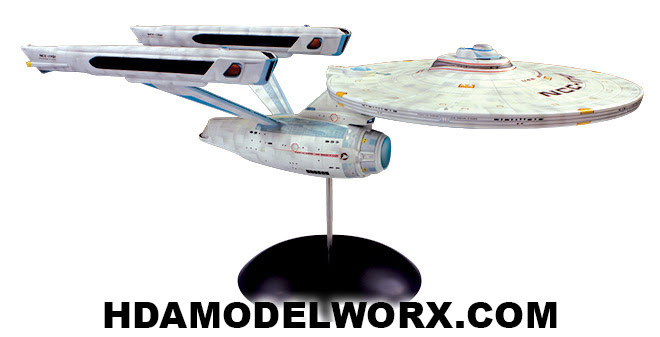 This is the classic AMT 537 scale kit of the Refit Enterprise. This all-plastic kit of the U.S.S. 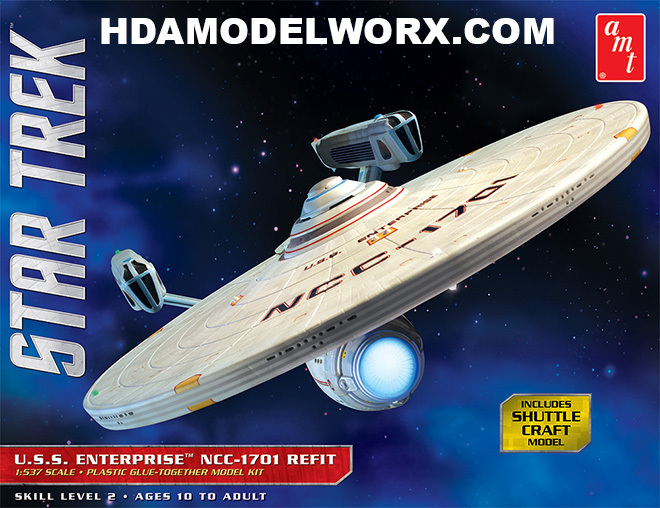 Enterprise NCC-1701 is 22 inches long when fully assembled, and features a dome base with metal support rod. This edition is molded in white plastic with some clear parts. Kit includes ship registry and engineering hull decals and complete instructions. AZTEC DECALS ARE NOT INCLUDED.